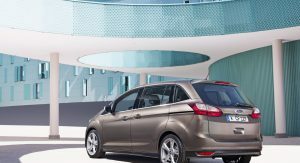 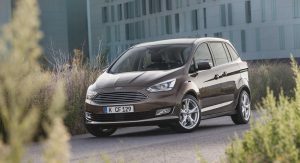 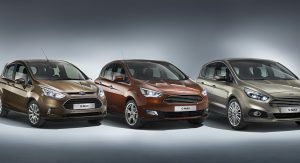 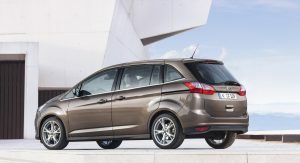 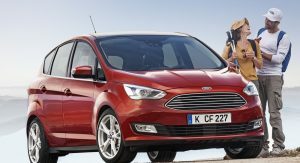 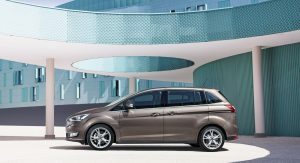 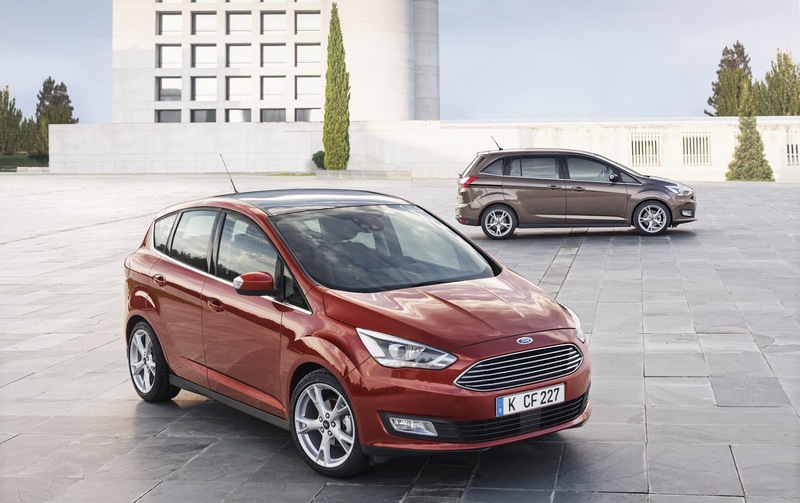 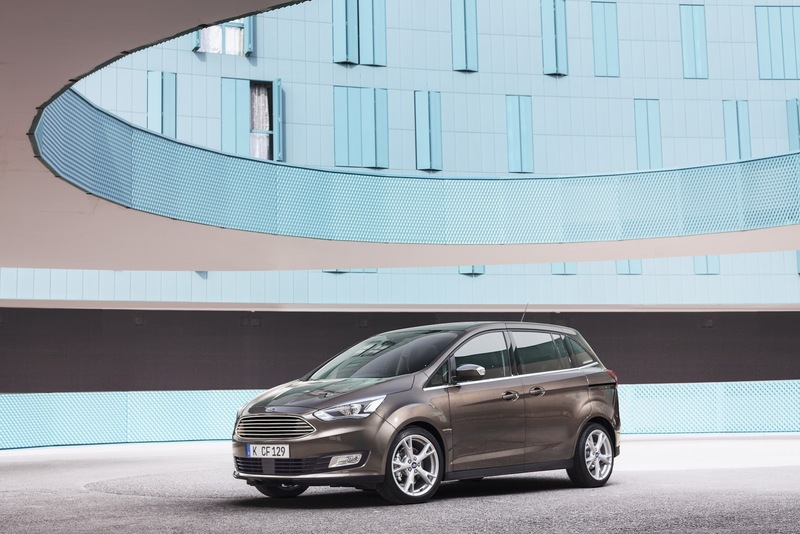 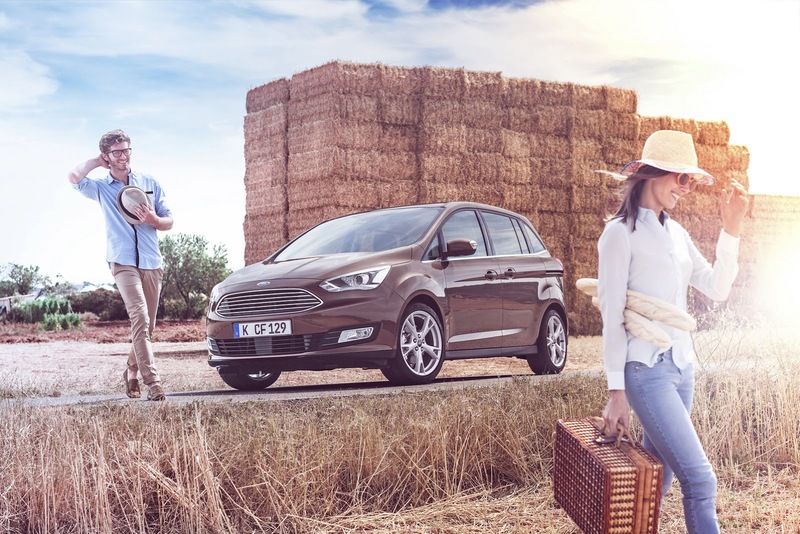 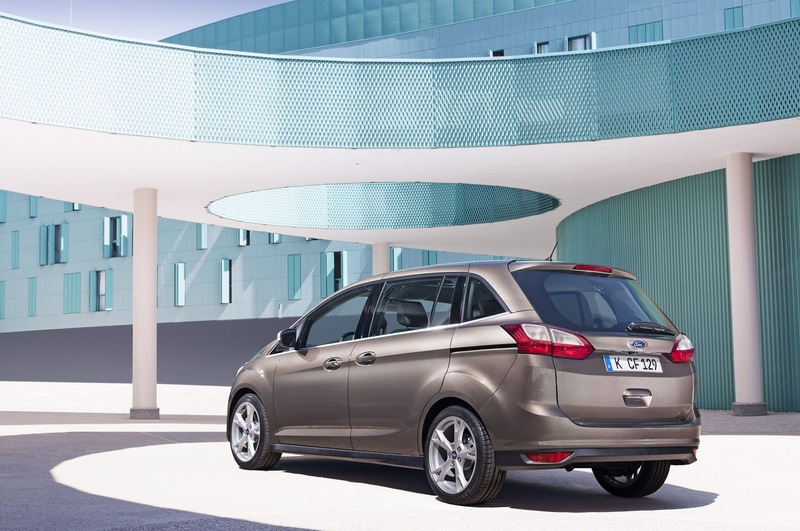 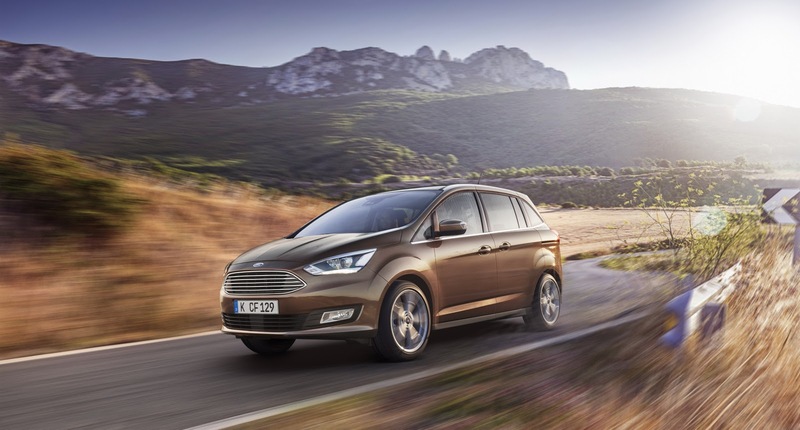 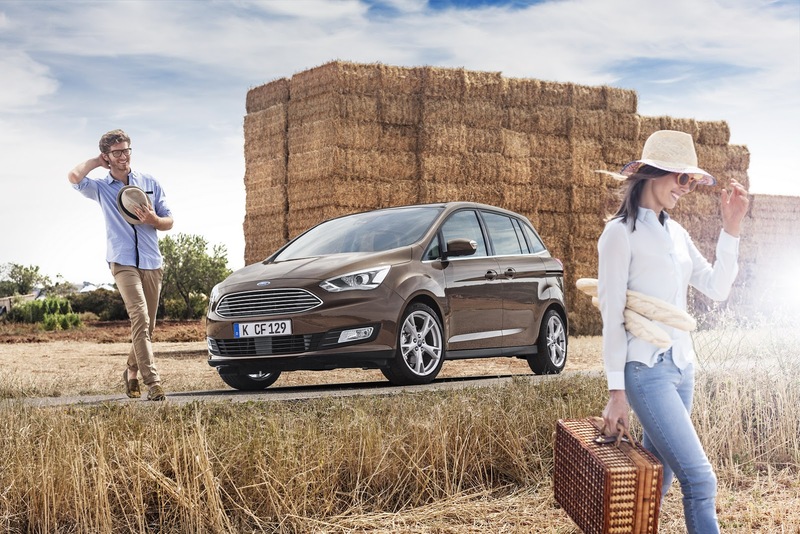 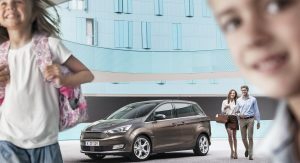 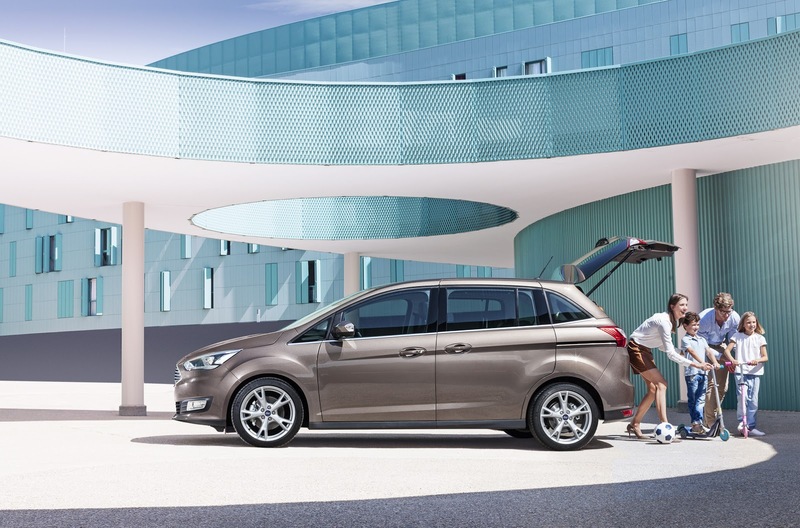 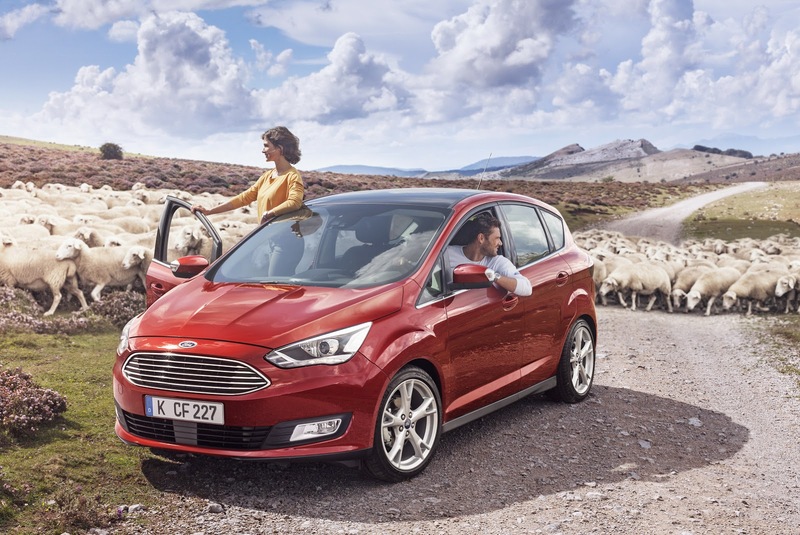 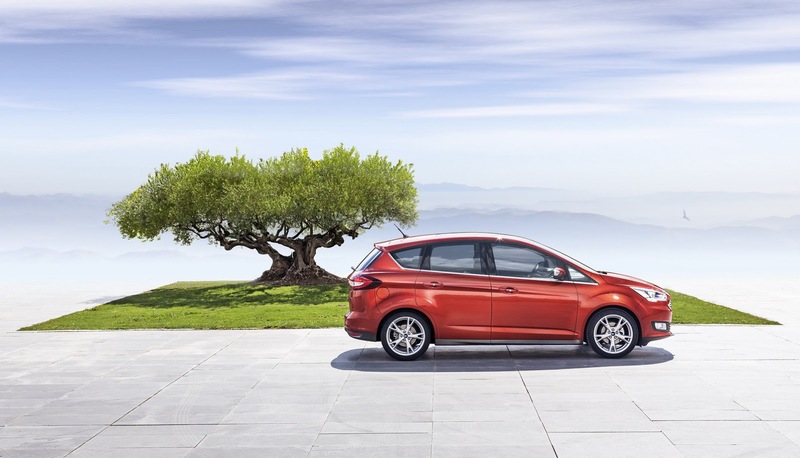 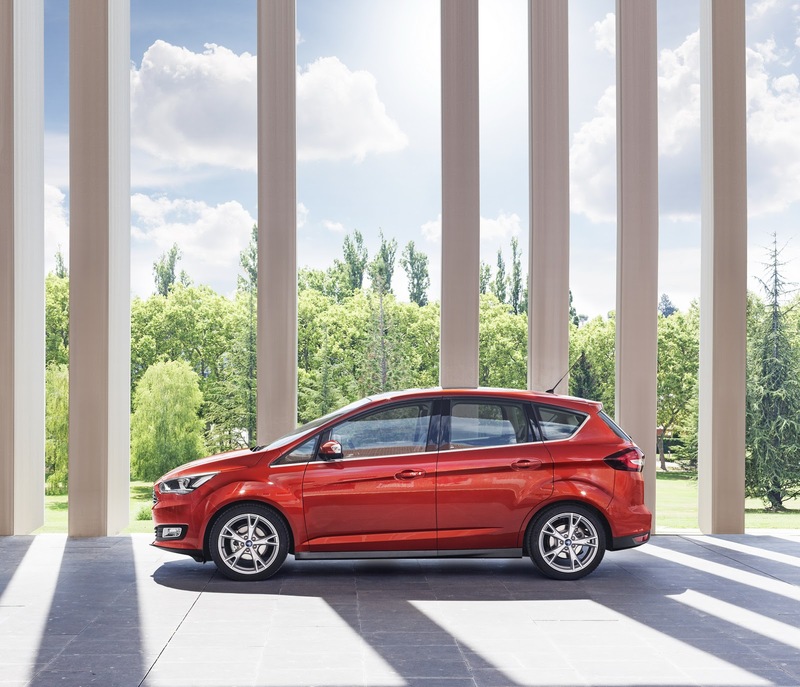 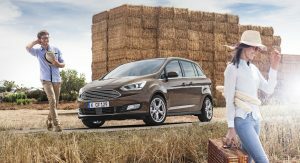 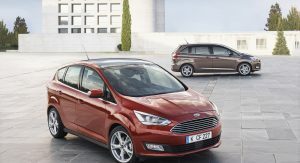 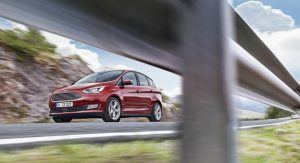 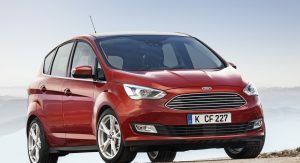 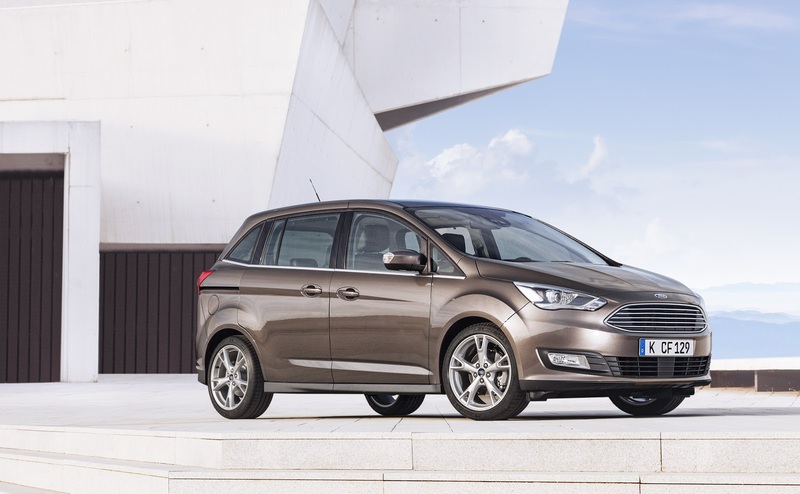 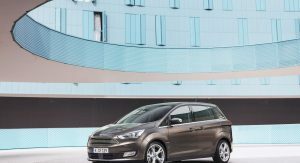 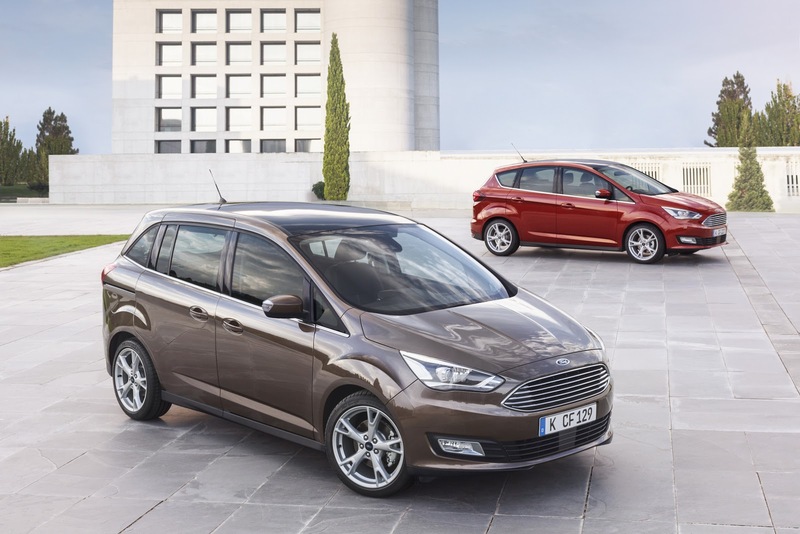 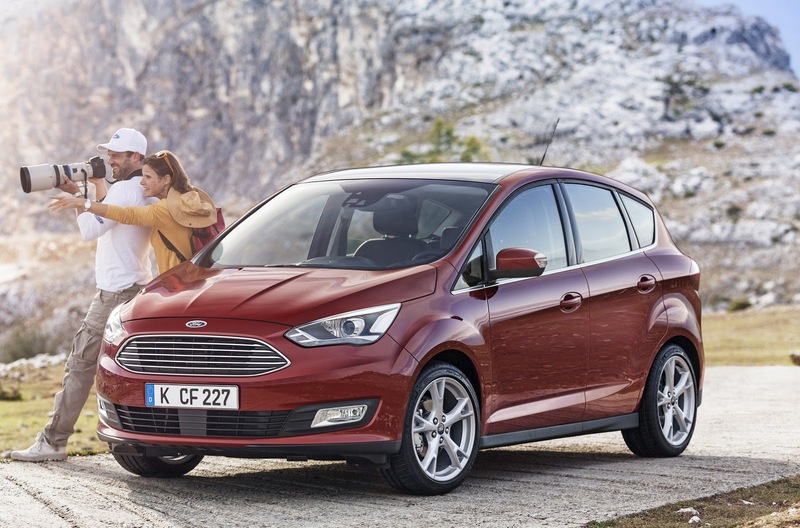 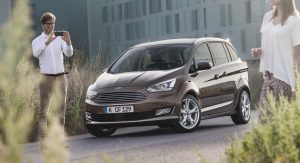 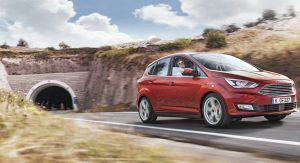 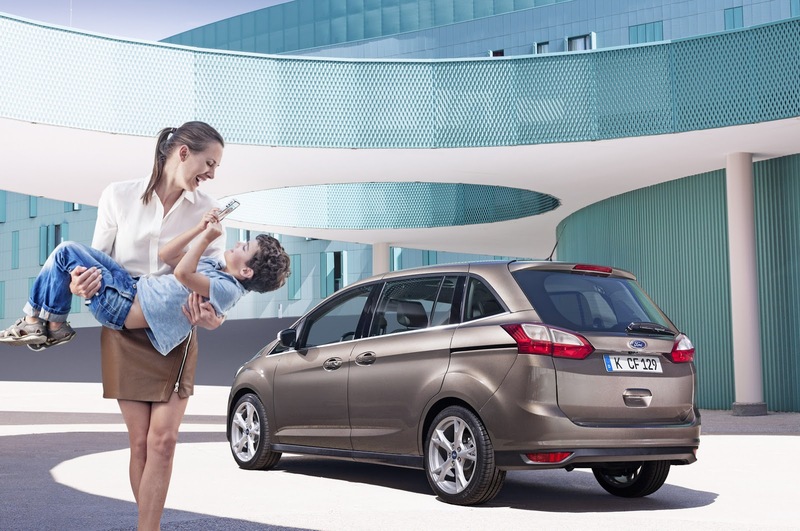 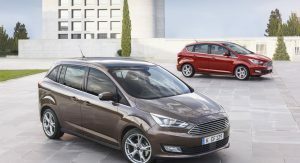 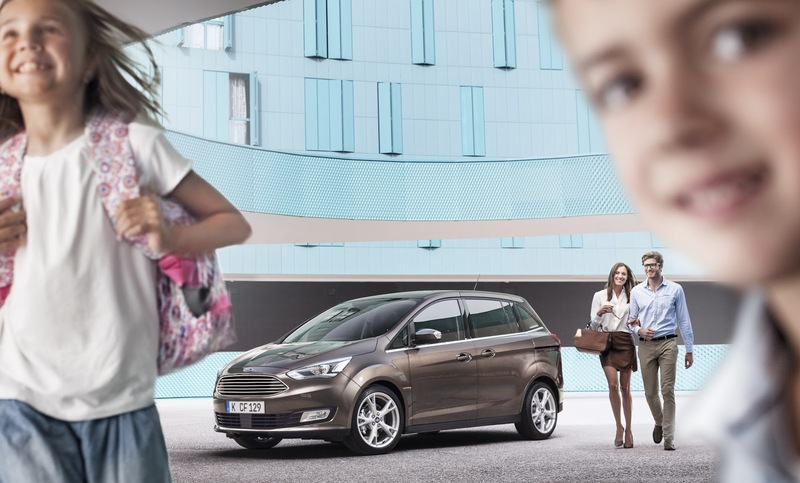 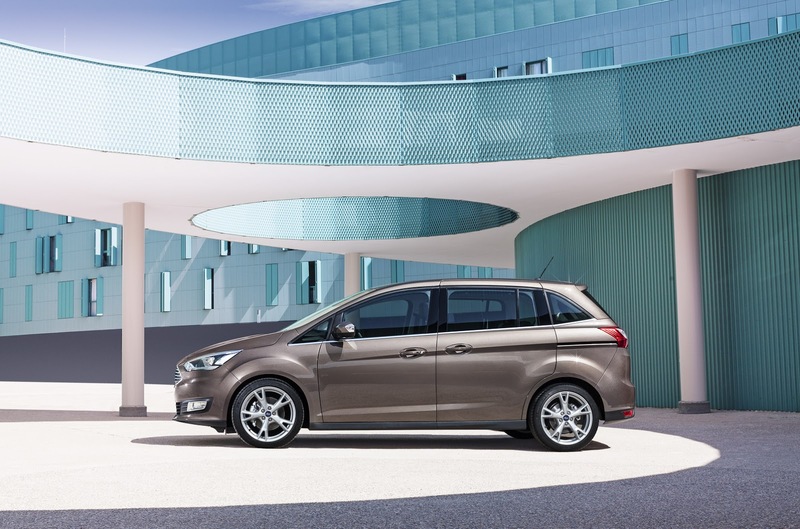 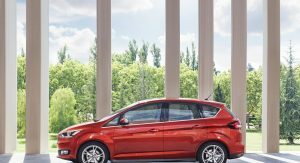 Ford is taking its minivan-business quite seriously in Europe (as opposed to the US), as following the presentation of the all-new S-MAX, it has now unwrapped the refreshed five-seat C-MAX and seven-seat Grand C-MAX. 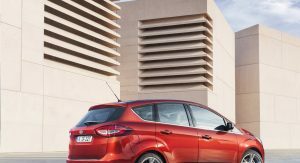 Both models benefit from a similar host of cosmetic, mechanical and technological upgrades to the related Focus facelift. 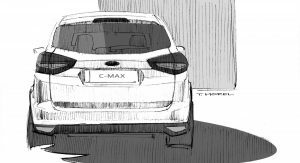 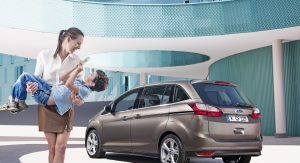 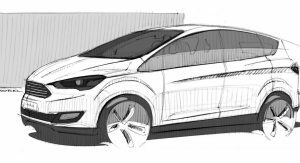 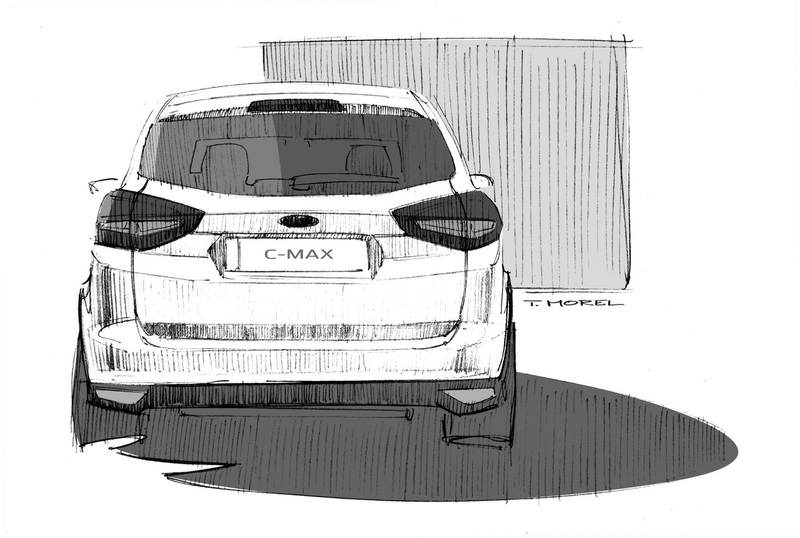 With the exception of the rear-end on the Grand C-MAX (that’s the longer one with the sliding rear doors) that remains untouched, the other changes are common on the two model, so we’ll just refer to the C-MAX from here on. 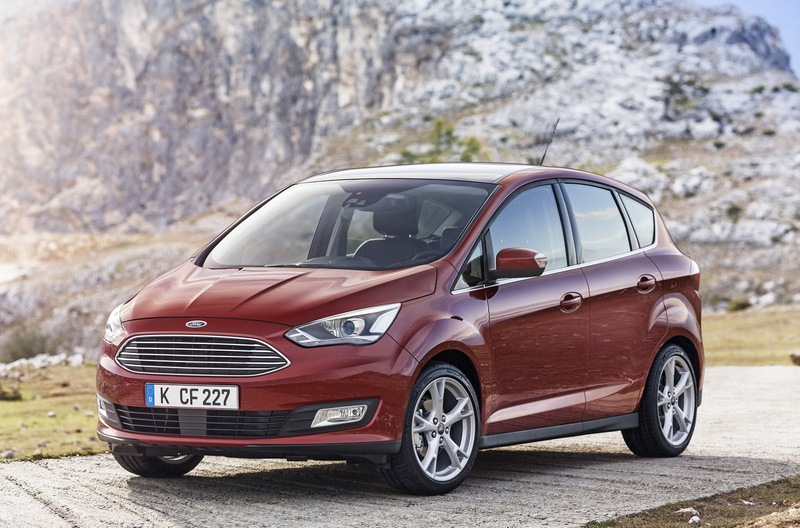 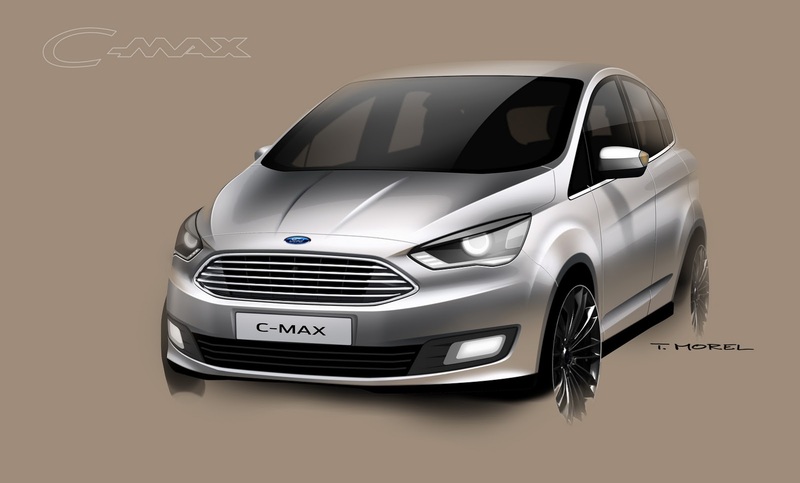 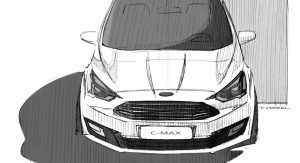 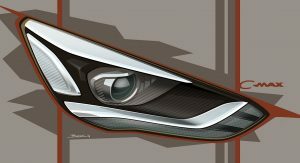 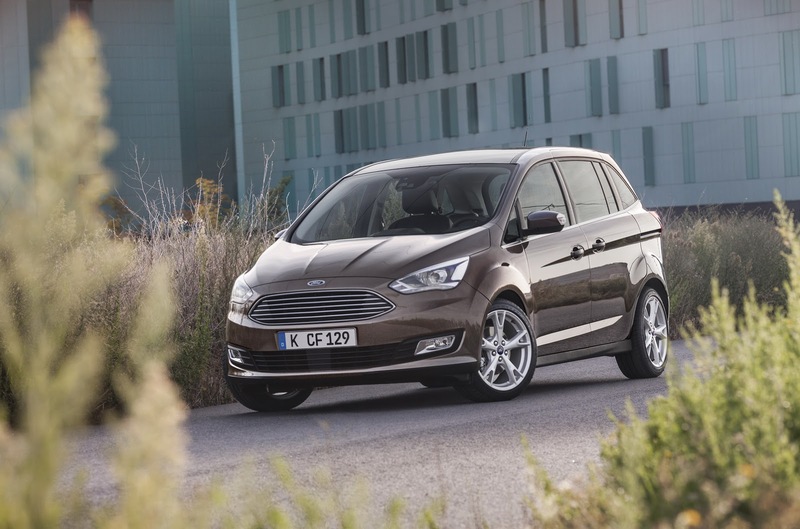 On the outside, the C-MAX gets a more sophisticated-looking snout with Ford’s now…trademark Aston Martin grille and edgier headlamps incorporating LED Daytime Running Lights. 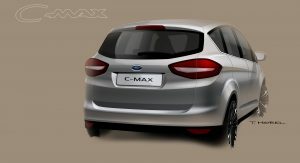 At the back, the five-seat C-MAX sports a more simplified tailgate together with smaller lights and a tweaked bumper. The new alloy wheel designs and available colors round out the exterior updates. 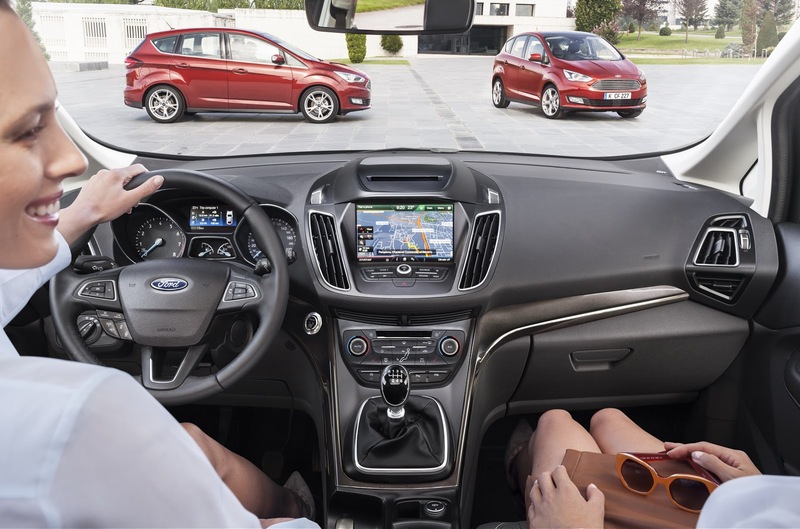 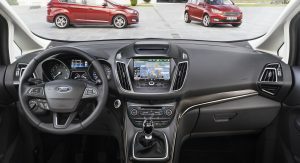 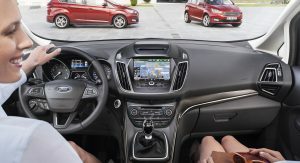 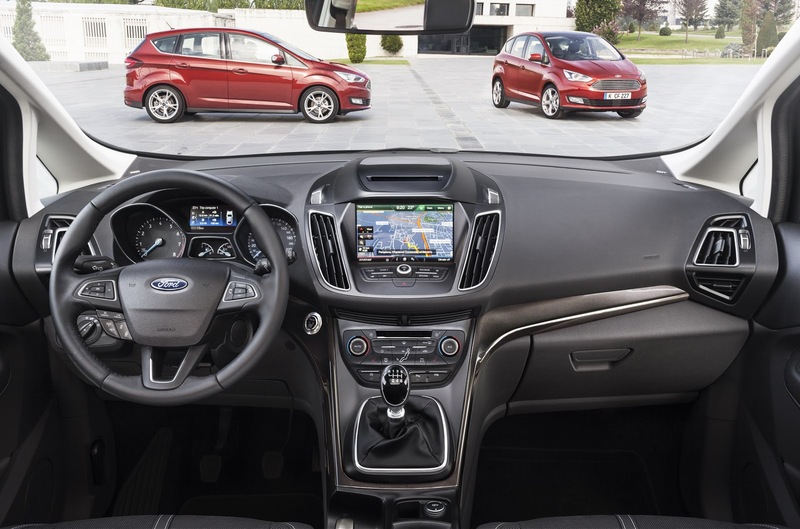 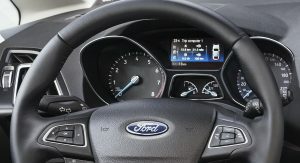 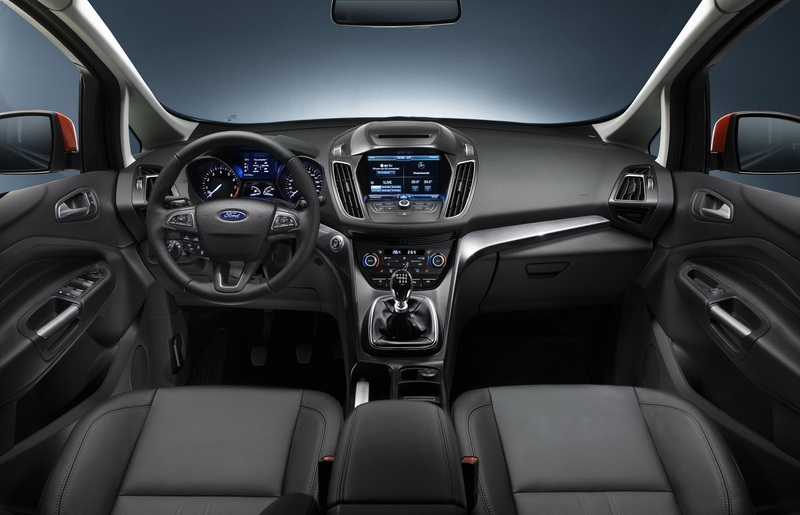 Moving to the interior, the C-MAX models feature a more simplified center console layout with fewer controls and switches, plus a new 8-inch touchscreen and Ford’s latest SYNC 2 voice-activated connectivity system. 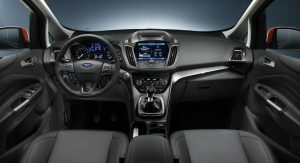 Ford says it has used higher quality materials and more upscale trims across the entire range, while adding new comfort, convenience and appearance items like a heated steering wheel, door-sill scuff plates and load-net fitting points behind both the first and second row seats. 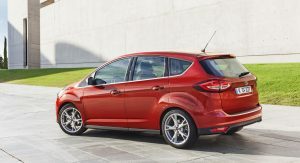 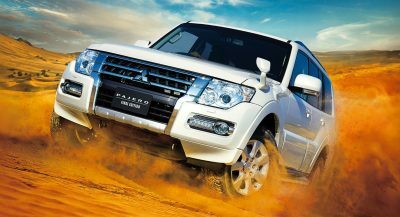 It also promises a quieter experience thanks to thicker side glass and more absorbent seals around the tailgate and rear view mirror, along with more acoustic dampening material in the engine bay heat shield. Beyond the chassis tweaks with revised suspension and steering systems, Ford has revised the engine lineup that now includes the new 118hp (120PS) 1.5-liter TDCi diesel that replaces the 1.6L unit delivering 5hp more power and up to six-percent lower CO2 emissions. 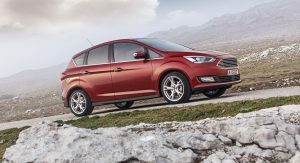 There’s also a new 1.5-liter EcoBoost petrol in 148hp (150PS) and 178hp (180PS) flavors to replace the 1.6-liter EcoBoost, and an uprated 2.0-liter diesel that’s expected to improve emissions by up to 20 per cent and power by over four per cent. 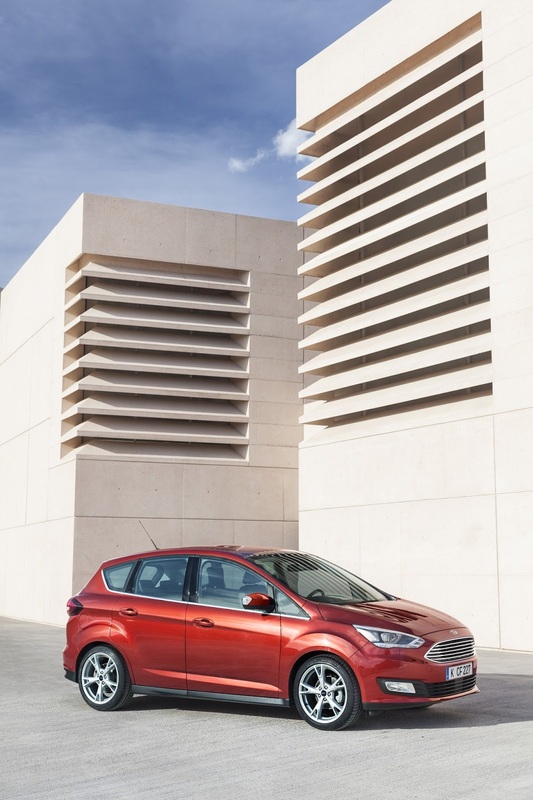 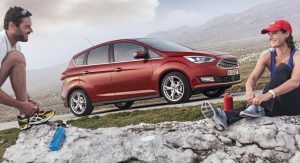 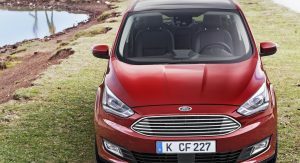 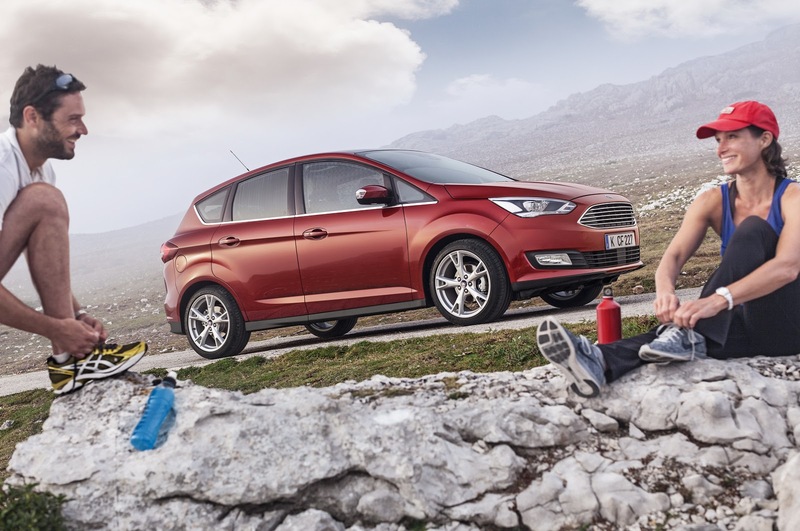 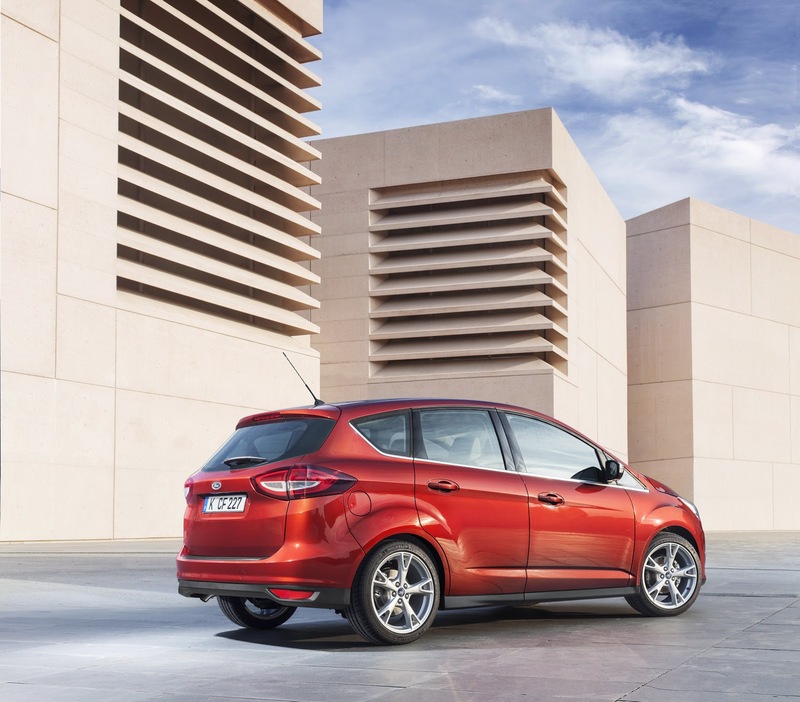 The existing 1.0-liter EcoBoost turbo petrols in 99hp (100PS) and 123hp (125PS) versions will continue to be offered on the C-MAX with lower CO2 emissions. 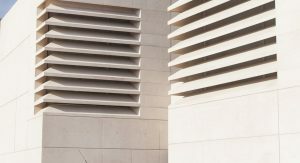 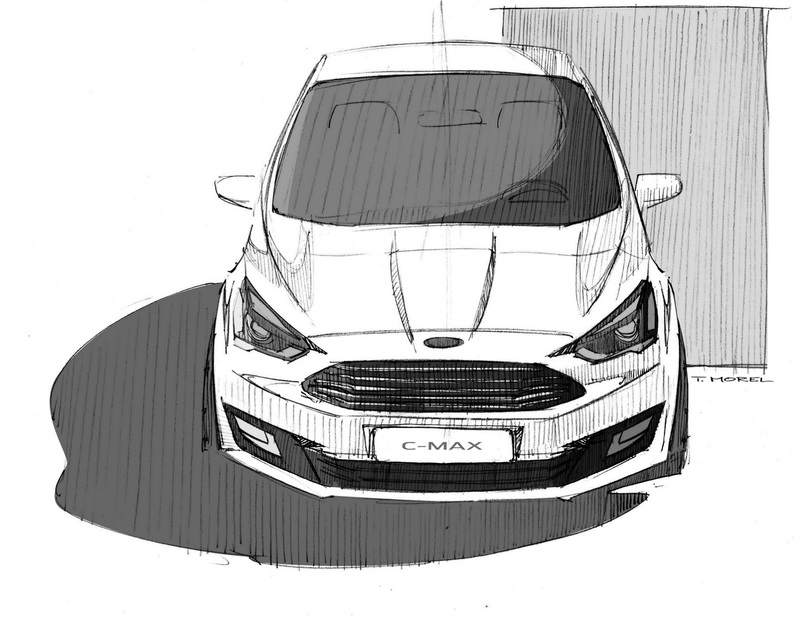 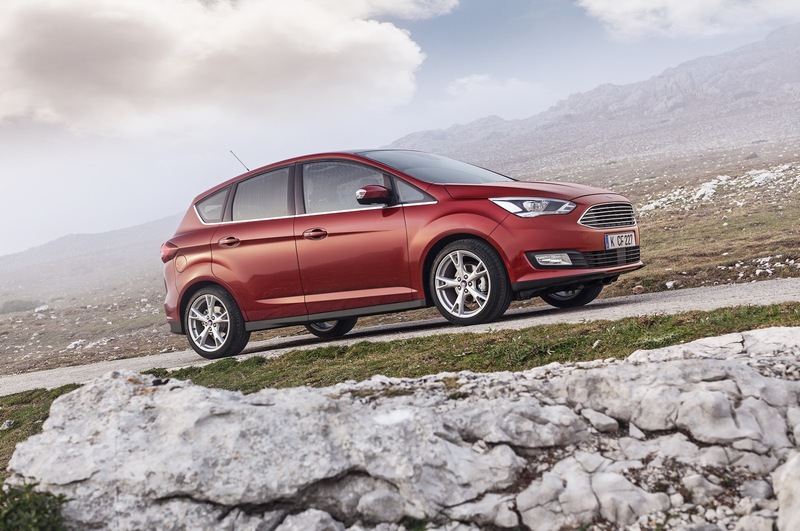 “These powertrains will also help make C-MAX the first car in its segment to comply with the latest EU Stage VI emissions regulations across the entire range from launch,” said Jim Baumbick, Ford’s global C-car vehicle line director. 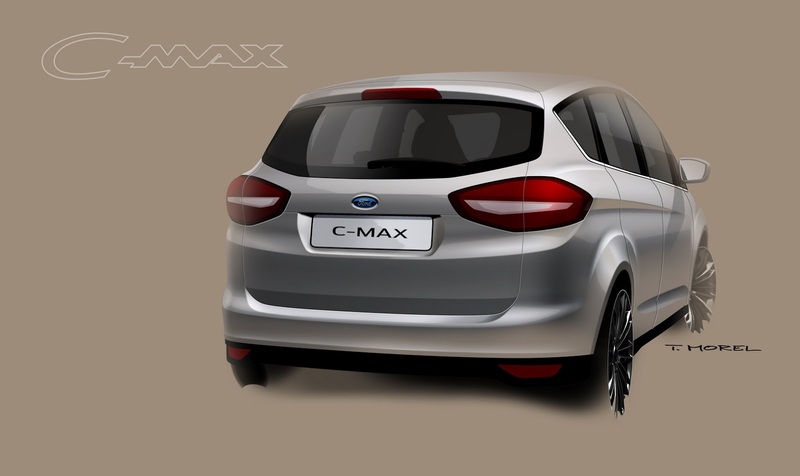 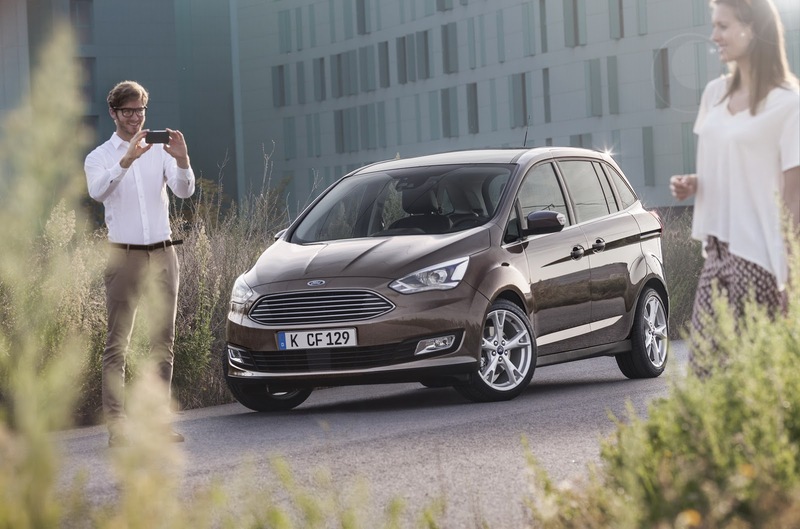 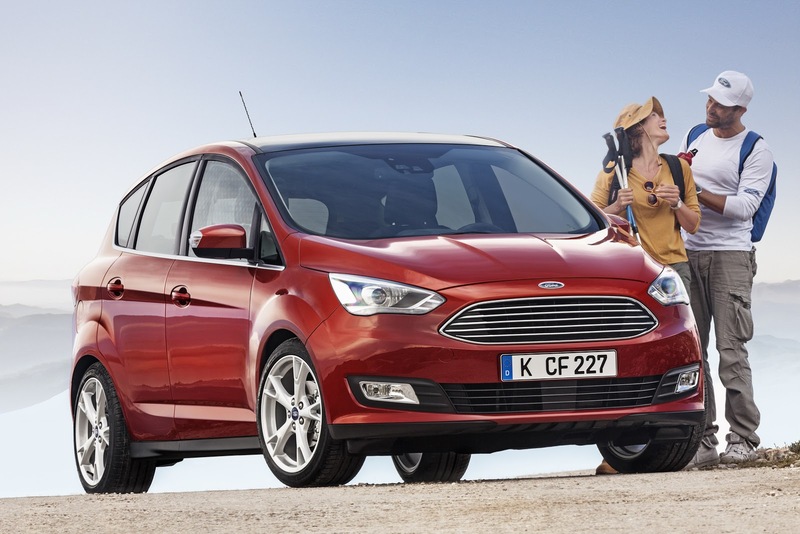 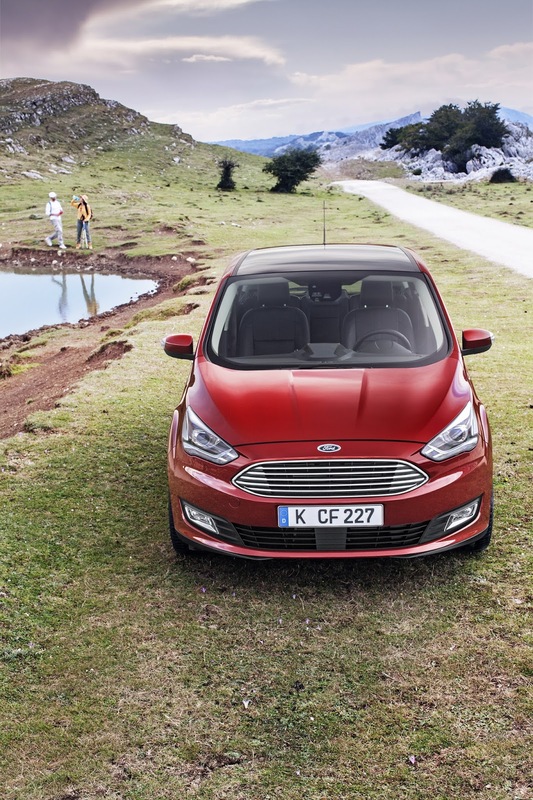 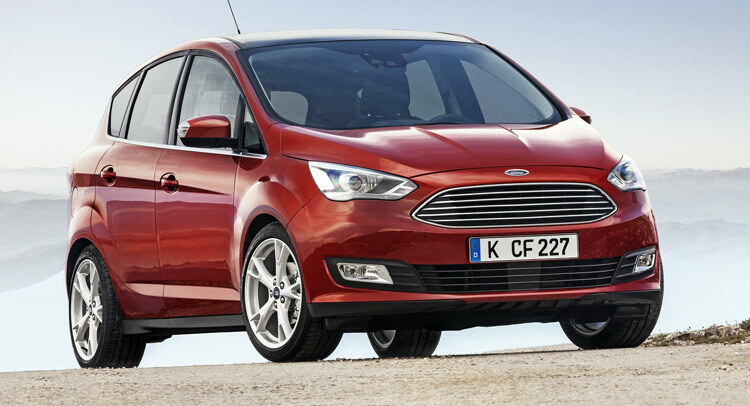 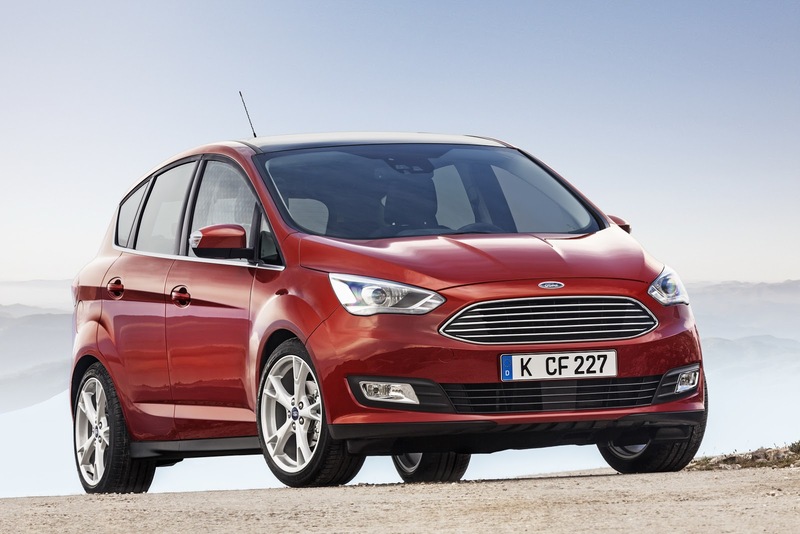 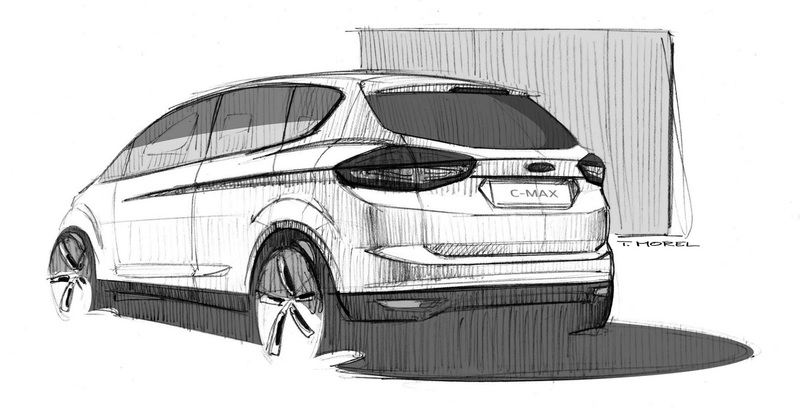 Ford’s updated 2015 C-MAX and Grand C-MAX will have their world premiere at the Paris Motor Show in October. 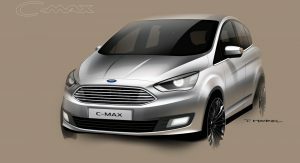 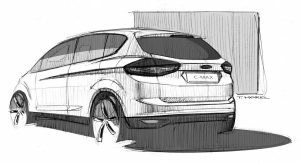 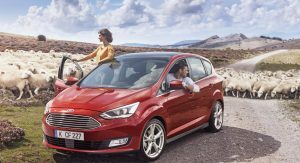 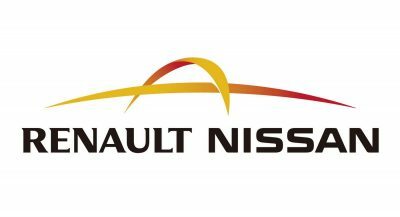 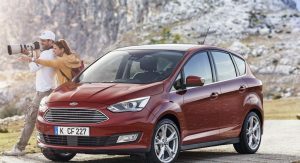 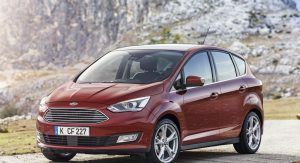 While the Blue Oval did not mention anything about models outside of Europe, a similar raft of updates should be applied to the North American C-MAX that is offered exclusively in Hybrid and Plug-in Hybrid editions. 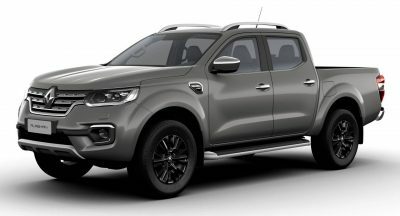 COULDN’T THEY COME UP WITH A BETTER NAME? 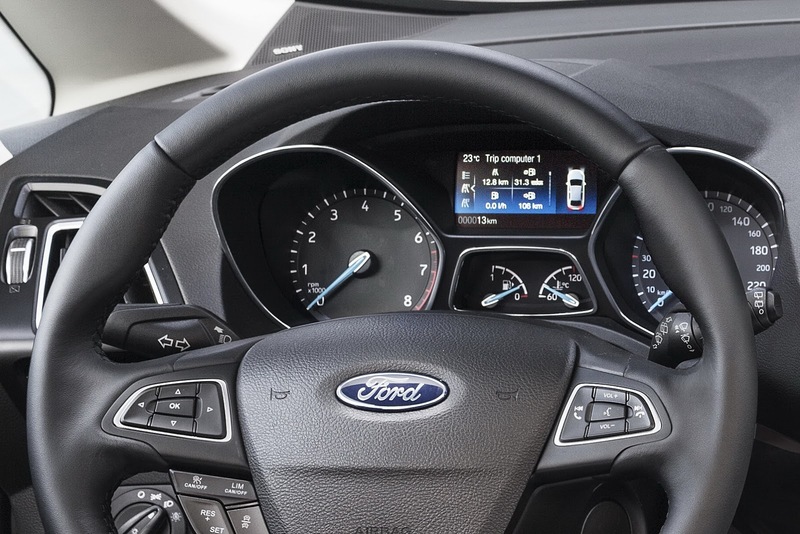 So glad they dumped the tiny satnav screen positioned right at the base of the windshield. 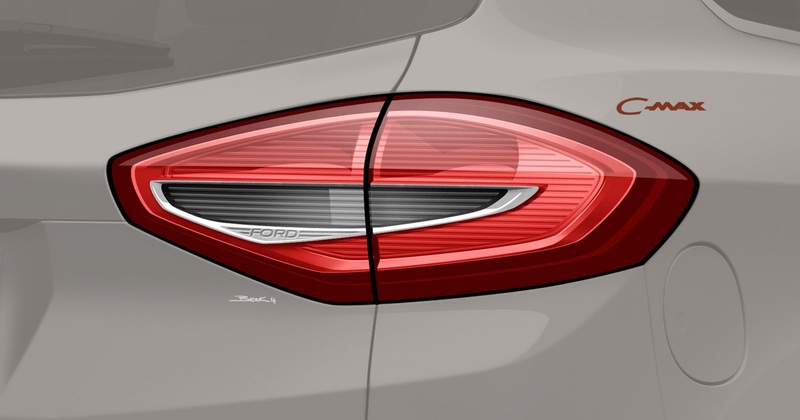 This is much better. Yeah, I was right…this did not need to be “teased”.